Acts 20:28 Pay careful attention to yourselves and to all the flock, in which the Holy Spirit has made you overseers, to care for the church of God, which he obtained with his own blood. Last weekend kicked off year three in this church planting journey. Glory to God forever! Experts say your not an official church until after the third year but why would I start listening to them now. We are and have been “the church” since we gathered together for our launch team meetings in April 2010. The past two years of my life and ministry have been incredible and have left me awestruck at the work of God’s hands and His amazing grace. It hasn’t been without it’s share of troubles, trials and turmoil. The hours have been long and the work has been intense. I thank God daily for the amazing team He has placed around me. I also thank God for the Trustees of COAH. These men and women know the importance of spiritual retreat and times of refreshing. Every time I start to run on empty and every time I start to feel drained God provides a local pastors and leaders conference or retreat opportunity for me to be refreshed. I can tell when one is needed when “The Hum” starts to drown out everything around me. “The Hum” that is what I call it and how I describe the feeling I get my tank is running on fumes and I am at my physical, spiritual and mental tipping point. “The Hum” is always there and it is not always bad. It drives me, it motivates me, it is that place inside me that challenges me to answer God’s call, to face giants and take the next step on the adventure. However, when “the Hum” gets so loud that I can’t hear myself think or I can’t turn off my mind I know it is time to shut it down for a while and re-center myself. “The Hum’ is always there it is a calming buzz as I plug away fulfilling my call Loving God, Loving People and Preaching Jesus. “The Hum” gets louder and more unmanageable as time goes on and event after event occurs. In the past two years every time “The Hum” seeks to overtake me I shut down the engines and find a place to retreat, refresh and renew my heart, mind, soul emotions, and vision. The Gospel writer Luke reminds us to pay careful attention to ourselves and to all of the flock. The fatal flaw of so many pastors, leaders, parents for that matter people is that we forget to pay careful attention to ourselves. It reminds me of the airplane safety orientation. It says if cabin pressure changes the oxygen masks will fall place one on yourself then help others. It seems selfish at first but it is practical and could save lives. If the pressure gets to us while trying to help others no one gets help in the end and everyone perishes. However, if we place the oxygen mask on ourselves the pressure doesn’t get to us and we are far more effective and capable of helping others. We must be careful not to allow the daily pressures of life, work, ministry, whatever prevent us from helping others because we choose to ignore ‘The Hum’ or the pressure mounting in and around us. If we are going to fulfill our divine calling it is going to require us to keep careful watch and pay careful attention to ourselves. Our spiritual, physical, emotional and mental health is critical to our lasting success in life and ministry. Ignoring “The Hum” won’t make it go away. Eventually it will be the only thing we hear. It is challenging to listen to yourself. Sometimes we think we can just push through one more this or one more that until it is too late. Every three to six months I find a way to get away for one or two days to refocus and re-center. Church planting and pastoring isn’t easy neither is life! A retreat may be as easy as a few hours. Some may not be able to take a day or two but an afternoon or evening is possible. Talk to the people in your life. Communicate that you hear “The Hum” and it is getting out of control. Don’t answer for people let them say yes or no. Don’t allow your pride to prevent you from getting help. Parents, pastors, planters, people need to pay careful attention to yourselves. For me church planting has been amazingly awesome and amazingly challenging. The weight I feel for the people God has entrusted to my care is felt daily. I gladly carry the weight by God’s grace. I wouldn’t change a thing. At the same time I cannot and will not ignore “The Hum” or the weight can and will easily become unbearable and render me ineffective. My first resting place is with God. I am closer to Jesus than I have ever been in my life. Church planting and pastoring will do that for you and to you:) My second resting place is with my wife. She knows and can see when the cabin pressure is changing and “The Hum’ is drowning me. My third resting place is the leadership of COAH. I can be and am totally transparent and honest with them. They are my biggest cheer leaders and closest allies. I also have my accountability partners both in state and out of state who help me tame and shoulder “The Hum”. “The Hum” is real. We all may not define it the same way but it is there. We all feel it in some way, shape or form. In the past two years I have heard of three pastors who have taken their own lives because of the cares of this world and the trappings of success. I have watched countless others fall from grace and destroy their lives and the lives of those who love them. I have seen marriages fall apart and families ripped apart because of the pressure of “The Hum”. I implore you pay careful attention to yourselves and to those whom God has placed in your life. Don’t let “The Hum” take you or them away. Run to Jesus! Retreat to Christ! Call out for help to God and to your family, friends, co-workers or church family. God has a plan for your life and my life. “The Hum” is there and always will be there. Let’s use it so the glory of God. We will never live pressure free. Notice it says if the cabin pressure changes, meaning there is pressure around us. Be careful to pay attention to yourself and those you love. 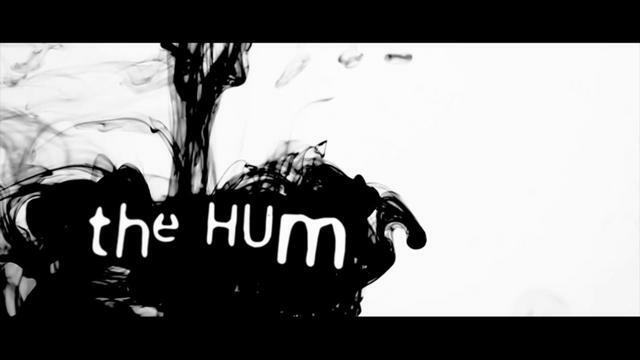 If you see “The Hum” is getting to someone you love give them a gentle help. If you are a husband or wife give them a few hours off or a night with the guys or girls. If you are a parent take your kids away give them a day off school. If you are a co-worker offer to cover a shift. If you are a friend invite them to enjoy some mindless entertainment. If you hear “The Hum” run to Jesus He is waiting, He is always waiting. Be encouraged!